Engine rebuilder. Gary & Son. Serving Houston, Humble,Tx. Fast service. Problems solving. Rebuild. Machining. Parts. Our sympathy to the family and friends of Gary since his death. We're friendly. Offer lots of help. Nobody is better! Visit our online web site, Fast service. Custom work. Low prices. We will help you personally with your motor. overhaul, repair, and head machining work, parts. Gary and Son offers Mega Power Additives and Treatments. Smooths the break-in. Slams the breaks on wear-out. Also fuel and injector cleaners, tune up aids. 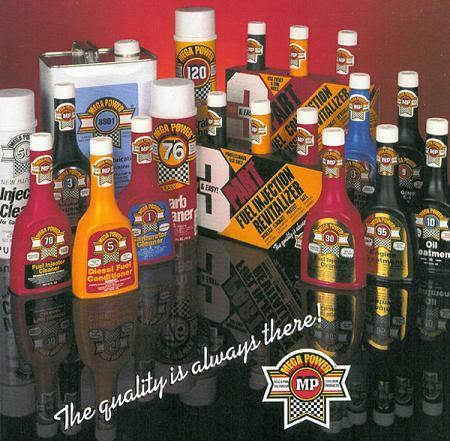 Engine and transmission treatments, conditioners. Helps new, rebuilt, older motors, transmissions run stronger. "They are so protective and friction reducing, engine pistons, bearings and gears slide effortlessly. This advantage saves on wear and fuel," Gary says. "We use Mega Power as our assembly lube. Helps our engines run way smoother, and outlast the rest!" Need Engine work - Call me. Need and additive? I know what works ans what does not. Just Ask Me! I'll also supply your shop inventory at a good price, too. You will love how Mega Power keeps your vehicles going - great!"